The photograph here shows a table decoration piece, again the subject can be yourself, clients or friends (with consent) and this small scale makes a lively talking point at the dinner party. The small scale table top piece can also be useful as a private memorial effigy, these cost circa £1,000 and are made by hand by me to order. As an artificer, I am happy to make any piece to your design or offer my own. Although my first love is for figurative work here is an example of a dragonfly set on a tree stump. I make these to order and more information can be found on my website. 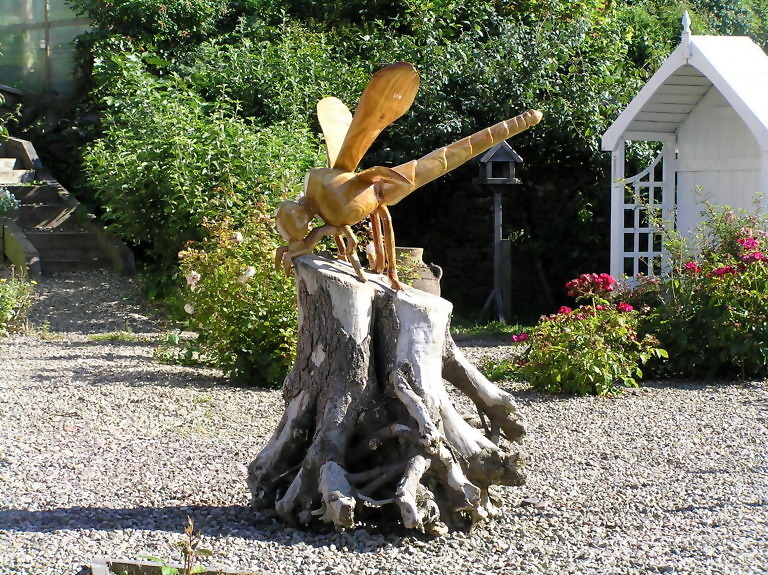 The cost of a dragonfly on a similar stump would be £1813.00 plus delivery. 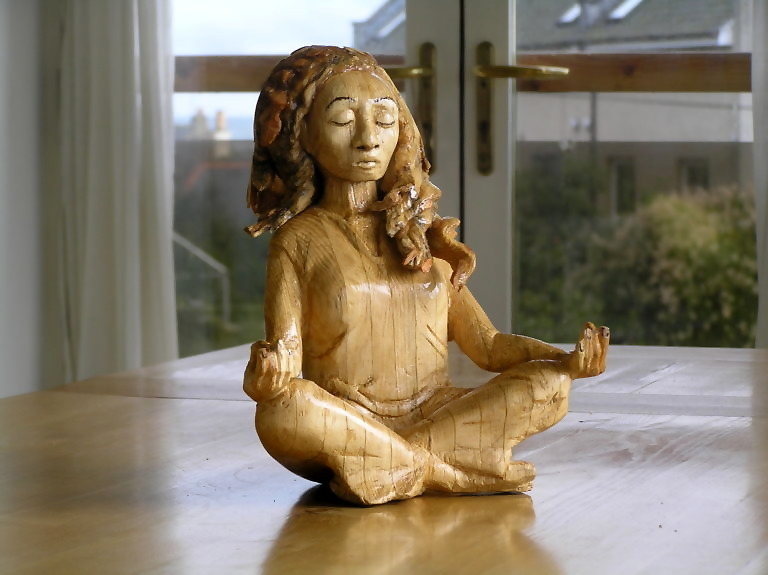 I make by hand and to order wooden life size and life like figures. These are suitable for permanent outside installations and are ideal for ornamenting buildings, gardens and outside meeting places. Any figures in any pose are possible and of any living person with their consent. 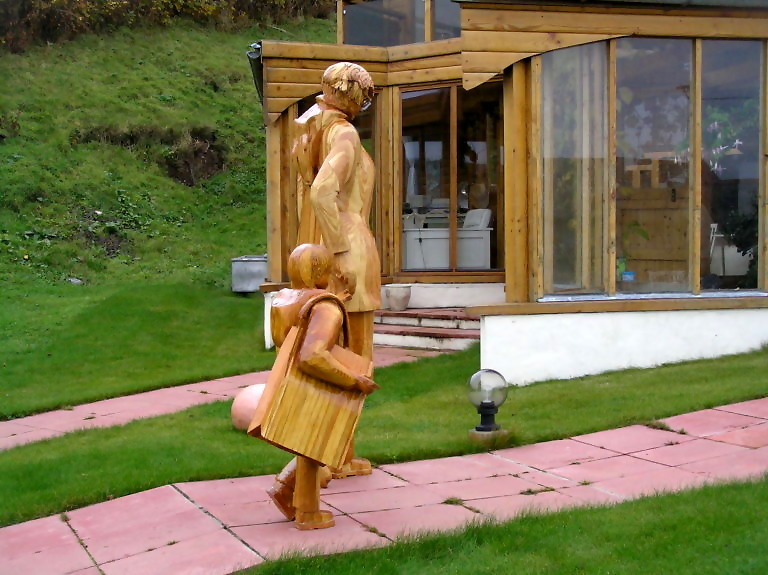 I also make public memorial statues and private garden memorial effigies.